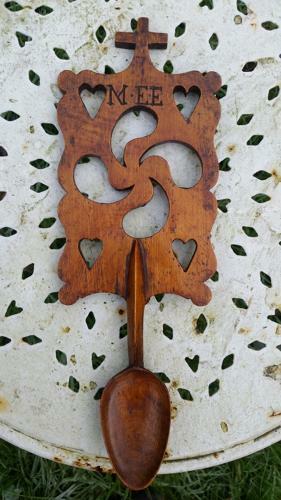 Welsh love spoon, decorated with heart and soul motifs , intialled M. E.E. All surmounted with a cross. c.1840.